Legal Information Preservation Alliance (LIPA) members combine resources and buying power to access affordable digital preservation for smaller institutions. Oxford, UK and Boston, MA – January 24, 2018 – Digital preservation specialist Preservica, is pleased to announce that the Legal Information Preservation Alliance (LIPA) has become the first customer of the company’s new Preservica Cloud Edition for Consortia offering. The new offering enables smaller libraries, archives, museums, academic and government institutions to combine requirements, resources and buying power, and work together to preserve and provide access to their valuable digital collections. LIPA is a non-profit alliance of over 113 academic, federal, state and public law libraries working on projects to preserve important legal information in print and electronic format. Legal information is at the core of a democracy, and law librarians, archivists and other information professionals have long been the caretakers of our legal heritage, assuring these resources are maintained in such a way that future generations have continued access to these records of government. 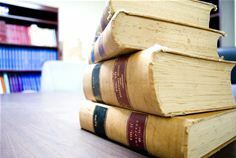 The Preservica consortium will initially be made up of four institutions – LIPA, Georgetown University Law Library, Maryland State Law Library and Virginia State Law Library. The Legal Information Archive will be extended over time to other LIPA members. The types of information to be preserved digitally with Preservica include state government reports, legislative studies, public policy research, and other primary and secondary legal sources. Preservica Cloud Edition for Consortia allows member organizations to share experiences and expertise to provide preservation and secure public access. There are multi-tenancy and shared tenancy options depending on the needs of the consortium members. In addition, the solution is fully hosted, maintained and supported by Preservica on AWS, so does not require local servers, storage or IT resources. Each consortium member also receives live online training. Mike Quinn, Preservica CEO, added, “We’re delighted to welcome LIPA as our first Cloud Edition for Consortia customer and are proud to be playing a part in supporting their work to preserve vital legal information for the future. We look forward to LIPA’s contribution to our growing user community and are pleased that the new consortia offering is enabling smaller institutions to work together to protect and future-proof their valuable digital content”. Learn more about Preservica Cloud Edition for Consortia. The Legal Information Preservation Alliance (LIPA) is a non-profit consortium dedicated to the preservation and accessibility of legal information through collaboration, education, and advocacy.